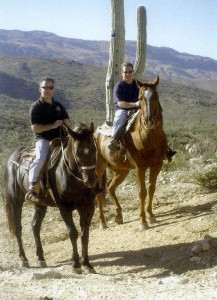 Michael Faber (right) is the Managing Partner for all Dare To Dream Stable LLC’s. 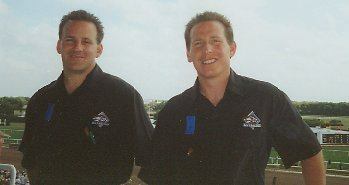 He is assisted by his brother, Allen Faber (left). Their passion for the horses and this sport combined with an intense desire to succeed are what set them apart. They truly care and have a great passion for what they are doing. Michael and Allen are both lifelong thoroughbred racing fans and avid horse riders. Both are graduates of the “Harmony with Horses” program taught by reknowned “Horse Whisperer”, Tom Chambers. Over the past 14 years, they have had an ownership interest in well over 100 thoroughbred race horses racing in Kentucky, New York, California, Illinois, Louisiana, West Virginia, Florida, Indiana, Iowa, Texas, Virginia, Ohio, Minnesota, Pennsylvania, Maryland, New Jersey and even Hong Kong. Michael has been a guest speaker at Arlington Park’s Get In The Game seminars to talk about race horse ownership and has appeared on Fox Sports Horsin’ Around Television program seen throughout the Midwest. Both Michael and Allen have appeared multiple times as guest speakers at Arlington Park’s popular Breakfast at Arlington program. In addition, an article about Michael, Allen and Dare To Dream Stable was published in the September 2004 issue of American Turf Monthly magazine. 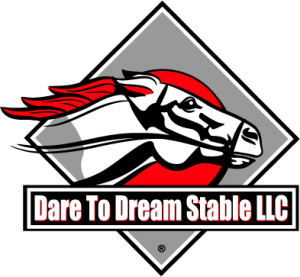 Dare To Dream Stable was voted as Owner of the Month at Arlington Park for July of 2004 and has finished in the top 4 in the Arlington Park ownership standings multiple times. Michael is also a licensed attorney in the State of Illinois and Allen is a former Restauranteur with extensive management experience. Campaigned multiple stakes winners Nicole’s Dream, Spiced Perfection (Grade 1 winner), Jockamo’s Song & Raving Rocket. Also campaigned stakes winners Flower Spell, Sahmkindawonderful & Tingwithasting. Campaigned multiple stakes placed runners Memory Bank, Galactic Cat, That’salottabull & Power Jeans as well as stakes placed runners Tiznoble, Stormy Adieu, Johns Place, Road To Mandalay, Robbing the Bank & Midnight Eclipse. Won Owner of the Month Award at Arlington Park in July of 2004. Consistent top-level performance figures over history, despite an extremely modest budget for purchases. 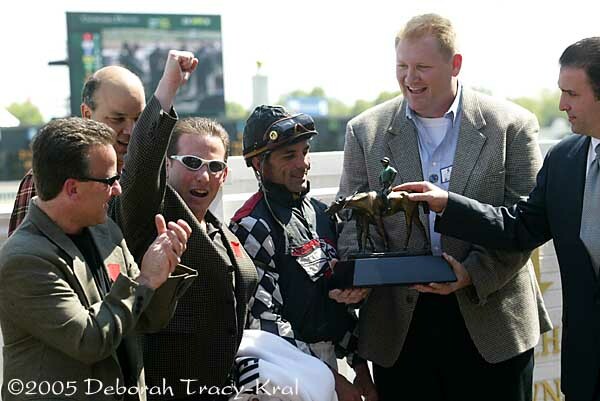 Won races at Churchill Downs, Arlington Park, Atlantic City, Canterbury Park, Charles Town Races, Del Mar, Hawthorne Racecourse, Fair Grounds (New Orleans), Mountaineer Park, Delta Downs, OBS (Ocala, FL), Turfway Park, Hoosier Park, Keeneland Race Course, Gulfstream Park, Tampa Bay Downs, Prairie Meadows, Beulah Park, Lone Star Park, Penn National, Pimlico, Laurel Park, Colonial Downs, PARX Racing, Philadelphia Park, Louisiana Downs, Presque Isle Downs & Stockton (California) & Santa Anita Park. We have run in Stakes (with 25 stakes wins and numerous top 5 finishes) races in California, New York, Illinois and Kentucky, Louisiana, Texas, Florida, Iowa, Pennsylvania, Maryland, Minnesota,Virginia and New Jersey.